Louisa is an admission officer for Emory University and an Emory alum (Class of 2012). Here, she shares some practical advice and tips on how to make the decision of where to enroll in college. First, I’d like to offer a heart-felt “Congratulations!” on being admitted to Emory University, and, I’m sure, many other great schools, too! The position of choosing among colleges that inspire and excite you is not a bad place to be. Take a moment to appreciate your accomplishment and those who helped you get there. This is an important moment in your life, and you don’t want the stress of a looming decision to overshadow it. With that said, you do need to decide by May 1, so let’s discuss some of the most important points to consider. The first, and most obvious, piece of advice is to visit the schools. As any admission officer will tell you, the best way to know if a school is the right fit for you is to visit. Meet the students and faculty. Are they people you want to learn with and from? Does the campus environment feel like somewhere you’d want to spend four years of your life? What are your interests and hobbies; will you be able to pursue them? If visiting is not an option, many schools have virtual tours you can take on their website, or the opportunity to ask questions of current students. If you are going to visit, most likely, you’ll need to pair-down your school list first. A pro-con list for each school is always a good idea, but make sure you’re prioritizing which categories are most important to you. Are you looking more for a certain academic experience or a certain social experience? Are the food and amenities important, or are study abroad opportunities your priority? It’s important to consider the benefits and disadvantages of each school. However, assigning weight to each pro and con will help ensure you don’t end up making your decision based on the schools’ mascots. Another important consideration that we don’t always like to discuss is the cost. Is it worth it to go to an out-of-state school when you have a very similar (and much cheaper) option in your home state? Did one school offer you a great scholarship while another would require you to take out loans? The decision to take on debt, especially at a young age, is a significant one. Make sure you fully consider all of your options and their implications for your post-college life. With that said, don’t base your decision purely on the financial aspect. A full ride to a school you have no interest in attending is not a scholarship worth pursuing. Of course, you will not be making this decision in a vacuum. Your parents will almost certainly have opinions; listen to them. They know you better than you’d like to admit, and they have been making big life choices far longer than you’ve been alive. However, your parents are not the ones going to college. Ultimately, this is your choice and you are the person who will live the consequences. Similarly, I have no doubt your friends are also deciding on a school. Do not base your decision on where they’re going. You will make new friends in college, probably some of the best in your life. Going to different schools is not an automatic end to a friendship, and the right school for your best friend isn’t necessarily the right school for you. Relax & Go with Your Gut! My last, and most important, piece of advice is to relax. Whichever school you pick will be the right choice! You will find your people, and make your own experiences. Going with your gut—the school that just feels right—is often the best choice. Best of luck to you on this choice and all your future endeavors. 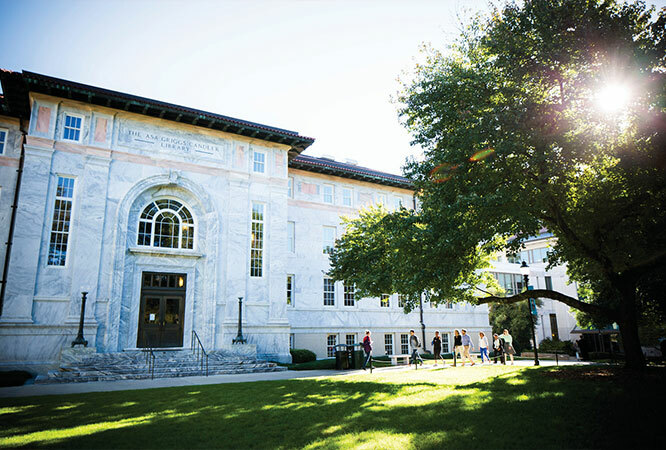 Hopefully we’ll see you at Emory or Oxford next fall, but if not, be sure to let us know where you choose!